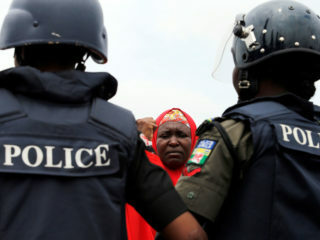 Some students living in Aboru but schooling at Ile-Epo. 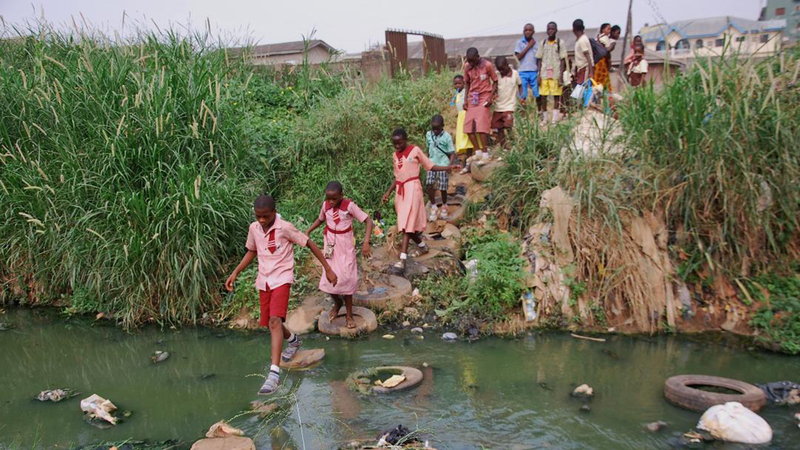 They daily navigate through this bushy path to get to school, which is a dangerous route during rainy season, as this canal gets flooded after any downpour. During such periods, they are trapped for hours on either side until the flood recedes. 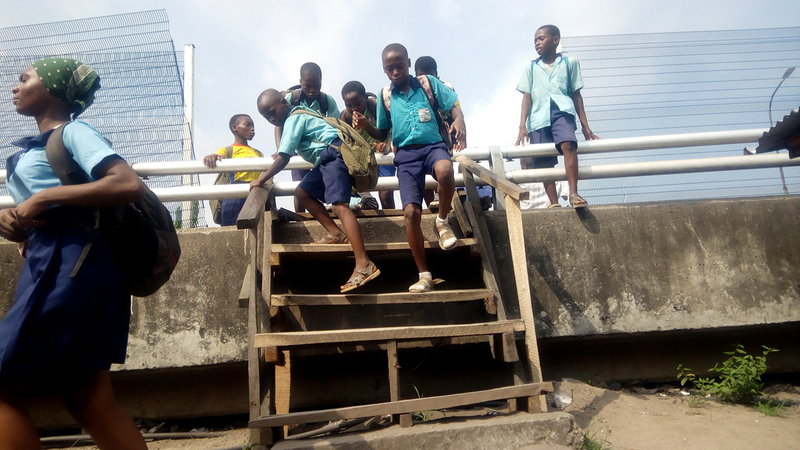 Students in Makoko on their way to school in Ebute Metta area of Lagos using a rickety wooden staircase. 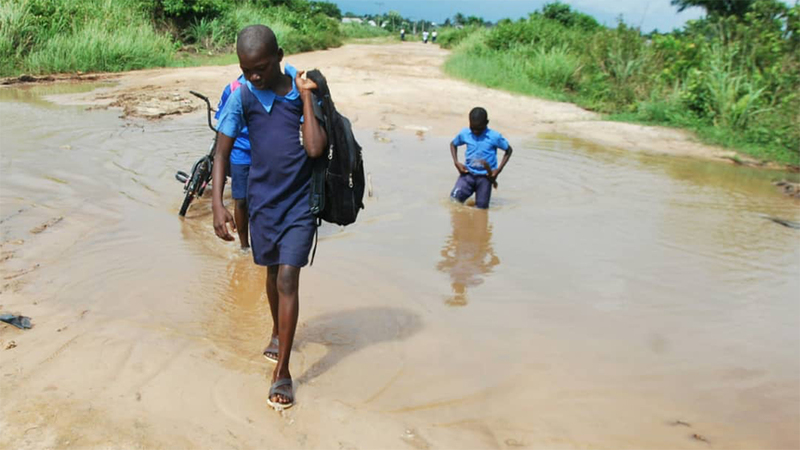 Felicia Folahan, JSS 3 student of Ikoga Junior Grammer School, Badagry, steps out of a pool of water on her way to school from Erekiti. She walks for about three hours daily to get to school.